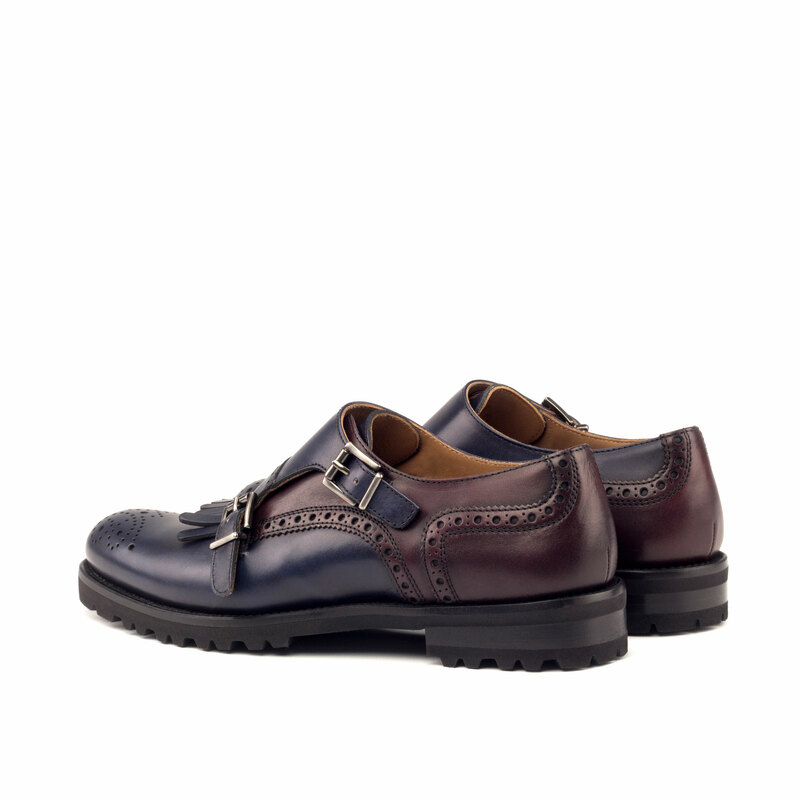 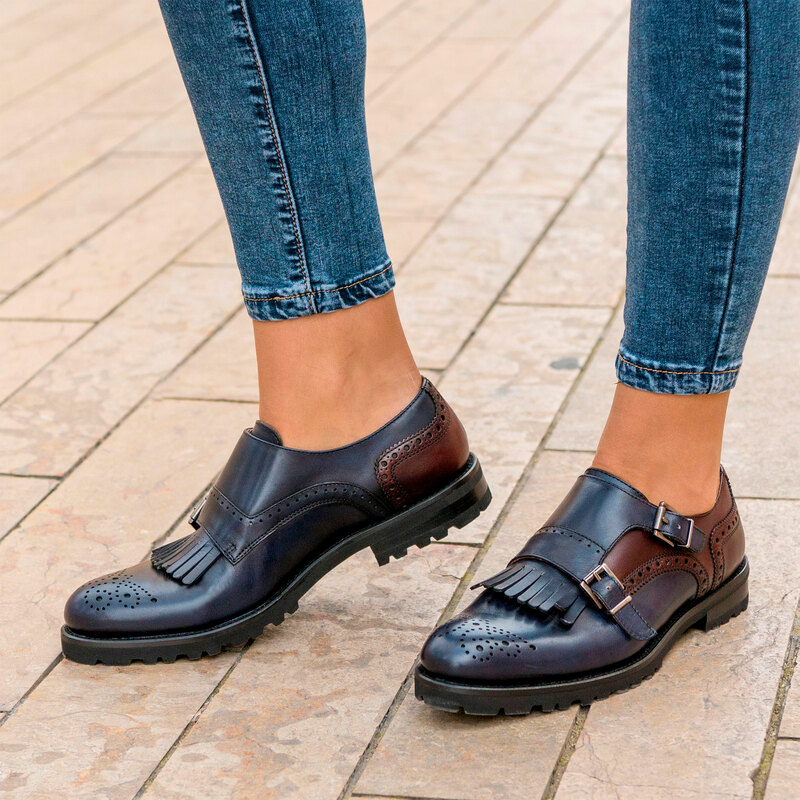 Step away from the norm with this stylish and contemporary hybrid of a brogue and kiltie monk. 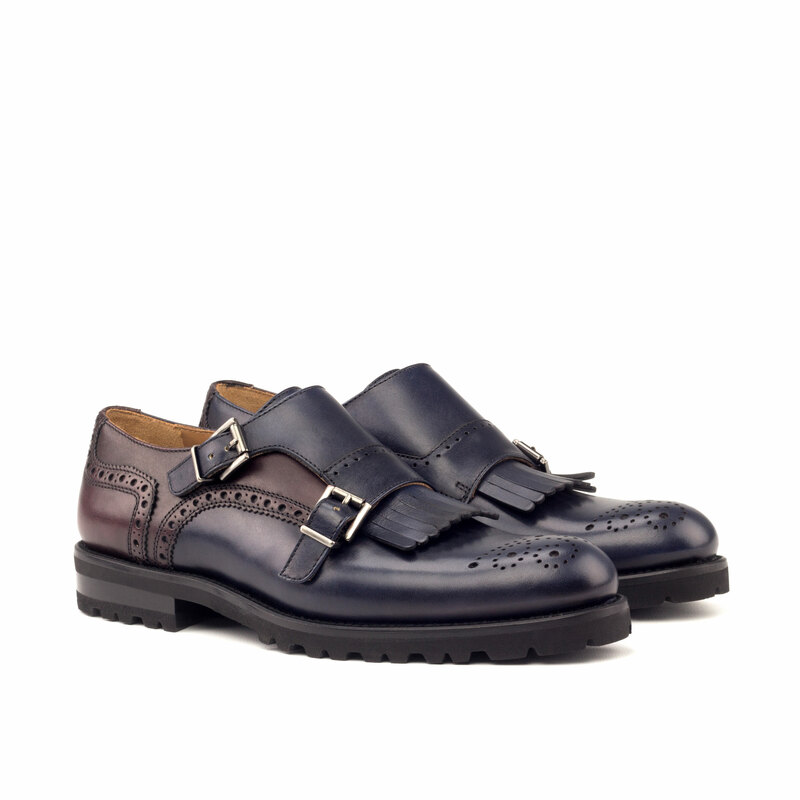 It combines a trio of classic dress accents: monk straps, brogue details and fringes on the upper. 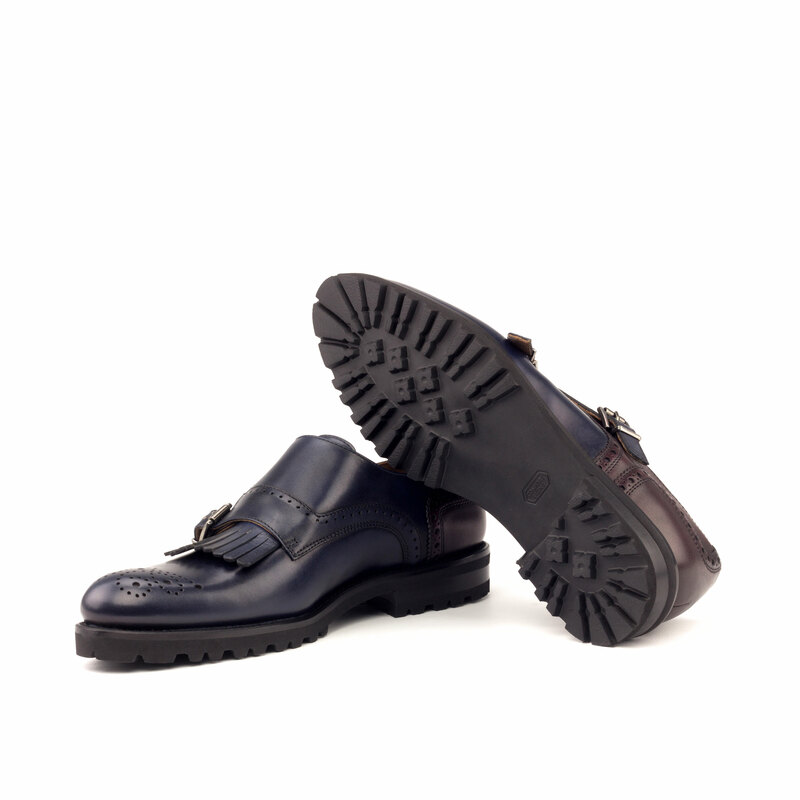 Sole units (different available) are Blake stitched to uppers.